Lorne is a seaside town on Louttit Bay in Victoria, Australia. 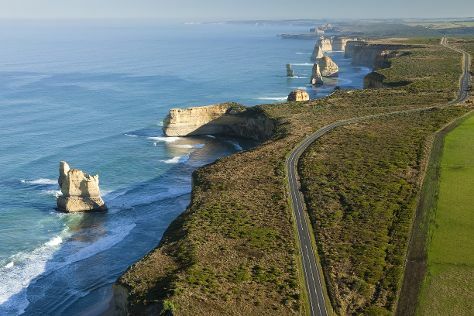 Explore Lorne's surroundings by going to Twelve Apostles (in Princetown), The Great Ocean Road (in Torquay) and Port Campbell (Port Campbell National Park & Apostle Whey Cheese). There's still lots to do: don't miss a visit to Cape Otway Lightstation, take a peaceful walk through Mait's Rest, and take in the dramatic scenery at Erskine Falls. To find photos, where to stay, maps, and tourist information, use the Lorne itinerary maker site . In March, daytime highs in Lorne are 28°C, while nighttime lows are 15°C. Wrap up your sightseeing on the 22nd (Fri) to allow time to travel back home.